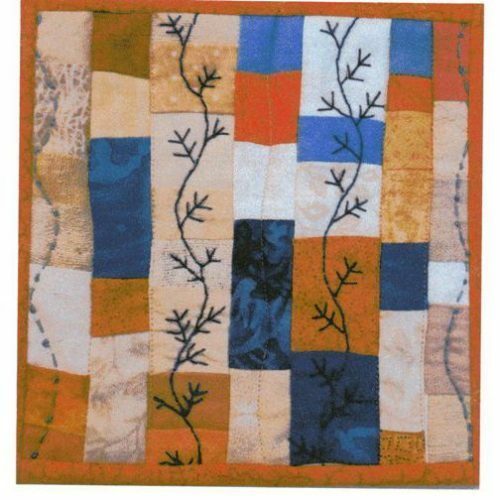 This is a great technique in which you can use recycled denim (as in jeans) but both sides get done at the same time. 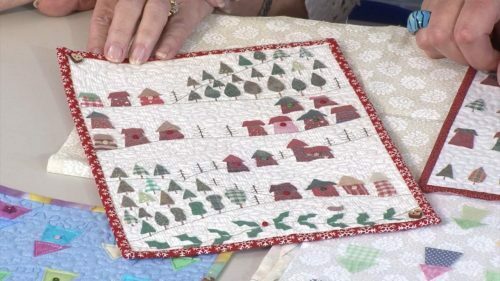 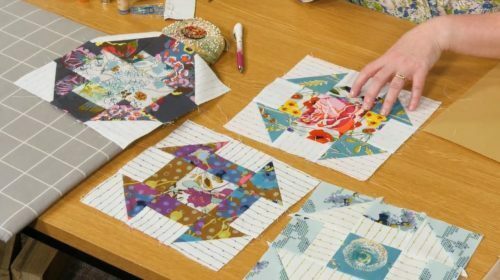 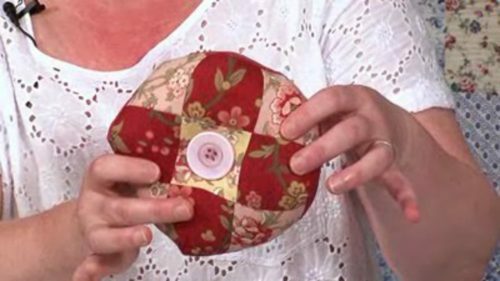 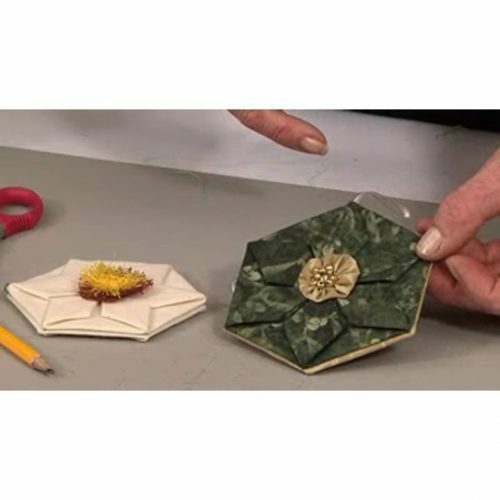 A form of Japanese Folded, Paula shows you how you can use up scraps of wadding, as well as the recycled denim from clothing, and the centre fabric uses 5″ squares, so charm packs are also useful. 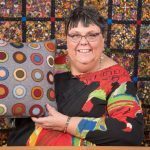 Preparation, as in all scrap or recycled quilts/projects, is the key and you need to get yourself organised; Paula has a great suggestion on how to keep your 505 spray from going all over the place – your washing-up bowl never seemed to appealing! 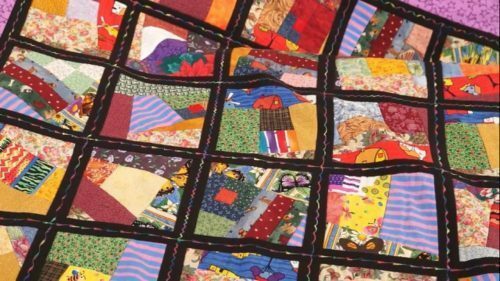 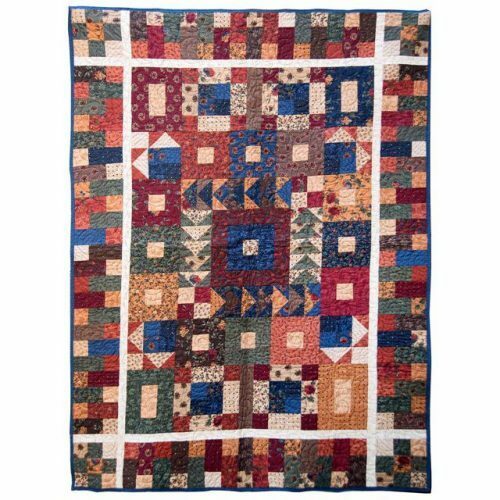 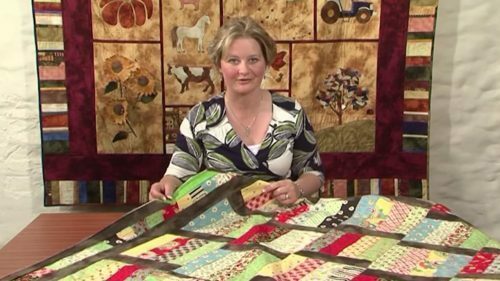 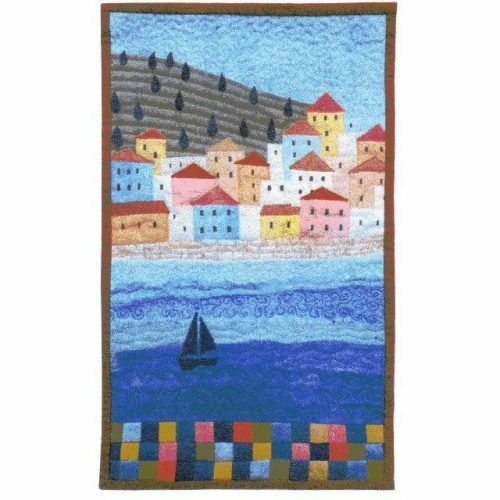 As well as the large quilt, Paula has a small placement project to inspire you. 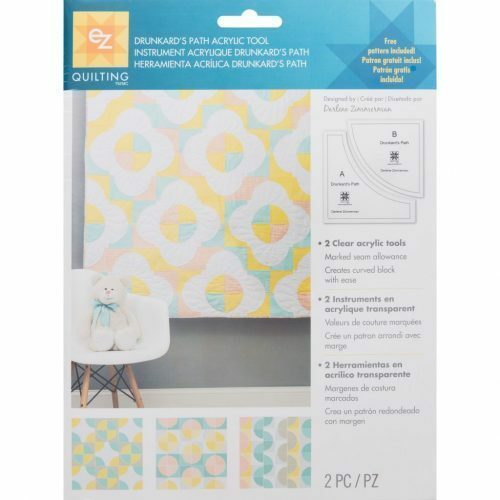 The template set also has a couple of pattern ideas with it too. 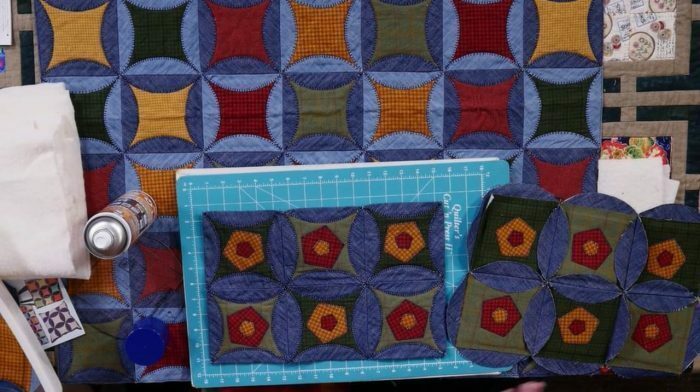 Small correction – Maureen spotted that in fact the denim circles can be cut slightly smaller – 7″ circles work better with the 5″ charm pack squares.